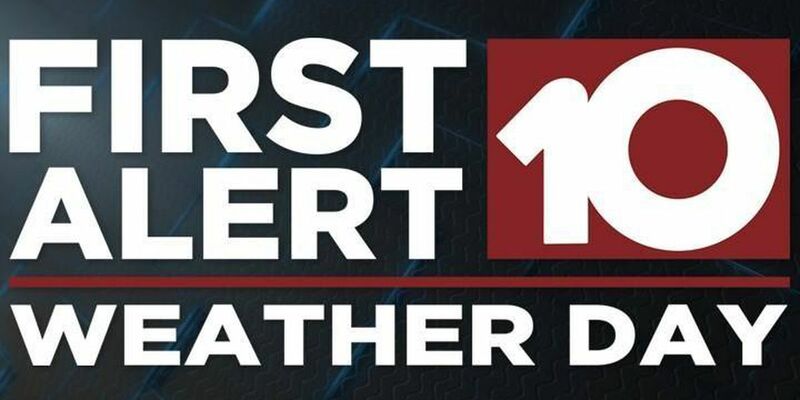 ALBANY, GA (WALB) - The WALB First Alert Weather Team has declared Sunday a First Alert Weather Day. Rain is expected Sunday morning with the threat of severe storms and flash flooding mainly east of the Flint River. The primary threat will be damaging winds of 60 mph, and rain rates of up to 3 inches per hour and an isolated tornado. Wash Out Weekend, Here It Comes: Flooding Potential is growing for Southwest GA. 3 to 6 inches of rain is expected this weekend. Locally nearly 10 inches of rain is possible. This may cause flash flooding initially, then areal flooding and then river flooding next week. Rain may be heavy at times with some localized areas reaching over 3 inches. Because this is a high impact weather event a First Alert Weather Day has been issued for Sunday. Rain Timing Today: Heavy Rain and thunderstorms are expected morning to afternoon on your Saturday Southwest Georgia. The threat of severe storms and flash flooding continues midday to early evening. Monday turns rainy again with thunderstorms. Cooler and drier Tuesday and colder Wednesday. Severe Threat Delayed, Not Denied: There's a slight risk of severe storms for parts of South Georgia Saturday and Sunday. That includes a 15% chance of Damaging Winds, a 5% chance of Large Hail and 5% chance of a Tornado.